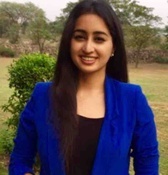 Ms. Sonali Thapar returned to New Delhi in 2013 to work with the Ministry of External Affairs after studying at the reputed University of Warwick, in England. Under the Development Partnership Administration wing, she was exposed to foreign aid funding alongside high-level bureaucrats. She worked on Grant Assistance programs and Lines of Credit that the Government of India extends as a finance mechanism to foreign governments that need support for various projects. In coordination with the World Bank and Ministry of Finance, she lead the team to revise the terms and conditions based on which India extends these Lines of Credit to various countries. The following year Ms. Thapar took charge of the Investment Company that is a part of the large Thapar Group, which has interests in various domains like manufacturing, paper, textiles, infrastructure etc. As the Director, she spearheaded the company to make strategic investments in debt & equity linked projects, stocks, mutual funds and real estate that now offer great returns. She is in the process of commercializing one of her property investments in the Himalayas and creating it into a boutique resort that aims to target nature lovers.